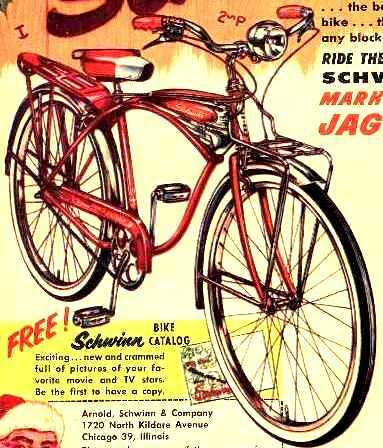 During July 1958, I received a new baseball glove and a blue Schwinn Jaguar Mark II bicycle for my birthday but that summer is particularly memorable for another reason. Just before returning to grade school that year is when I first learned about Unlimited Hydroplanes and possibly gleaned some of my first tidbits of awareness about community branding. It was the inaugural Diamond Cup on Lake Coeur d'Alene in my native Idaho. The event will be held again this weekend after a forty-five year absence. I recall listening the first year by radio, and watching it in a TV rebroadcast the next year. The commentator may have been Dave Page, a friend of my parents who was a radio deejay and newscaster who also hosted the “Captain Cy” TV show after school. The show was a favorite for our trio of friends when it was re-broadcast where we lived, always beginning with Popeye cartoons. Back then, the huge unlimited Hydros were open cockpit and featured big aircraft engines that had been developed for WWII fighter planes. Today, they use engines developed for helicopters used during the war in Vietnam. The host boat that first year was the “Miss Spokane” shown in the image above. That Rocky Mountain city is in Washington State but only twenty-two miles from the border with Northern Idaho and about thirty miles from where the Diamond Cup is run. Fifteen years following that first Diamond Cup race, I first cut my teeth on community marketing on behalf of Spokane. It has long been the largest city between Seattle and Minneapolis, and to many in Idaho it was our state’s “big city,” even more so than Boise. “Miss Spokane” was originally a duplicate of Bill Boeing Jr.’s Miss Wahoo. The boat was community-owned with financial shares bought by Spokane residents and businesses to finance its purchase and outfit and race it for the three or four years it ran. Incredibly, she placed third in that first Diamond Cup, averaging just under 100-miles-per-hour over three heats. Boeing is the son of the founder of the Boeing Airplane Company, now the world’s largest. He was responsible for preserving his father’s first factory, the Red Barn, now the centerpiece for the phenomenal Museum of Flight in Seattle. While visiting there I recognized by the tail insignia and number in family photos that the F-4 Phantom on exhibit is one of the aircraft flown in Vietnam by my uncle, “Ferd” White. Boeing was also responsible for bringing Unlimited Hydro racing west and particularly to the Pacific Northwest. One year, the “Miss Spokane” raced with the tagline, “The Lilac Lady.” It was painted in that pale shade of violet of a Lilac bloom, which has been Spokane’s community color and flower since 1938. Side note – one year my youngest sister was a Lilac Princess. “Miss Spokane” was competitive, but in 1961 she flipped and was nearly destroyed. During its run it probably formed my first thoughts about community branding, which became my now-concluded career stretched over three cities and four decades. I probably learned a bit about branding from my favorite Hydro race driver of those early years, Mira Slovak, too. In 1953, he defected by flying his Czech Airlines passenger plane very low under both radar and Mig 15s to asylum in West Germany. Slovack was Bill Boeing’s private pilot. Not only did he race Hydros in the 1950s and 1960s - twice as national champion – but he often flew his own biplane to promote the races. After flipping his race boat in a spectacular crash, but before retiring from Hydros, Slovak went on to win airplane races flying souped-up WWII fighters. For his day job, he flew for Continental Airlines. His personal brand was unmistakable as was the influence of the Diamond Cup on my eventual career.